Are you known to stub your toe on the table often? Do you always accidentally trip over invisible rocks while walking? Then this cheeky Ouch! Bow Tie is perfect for... read more Are you known to stub your toe on the table often? Do you always accidentally trip over invisible rocks while walking? Then this cheeky Ouch! 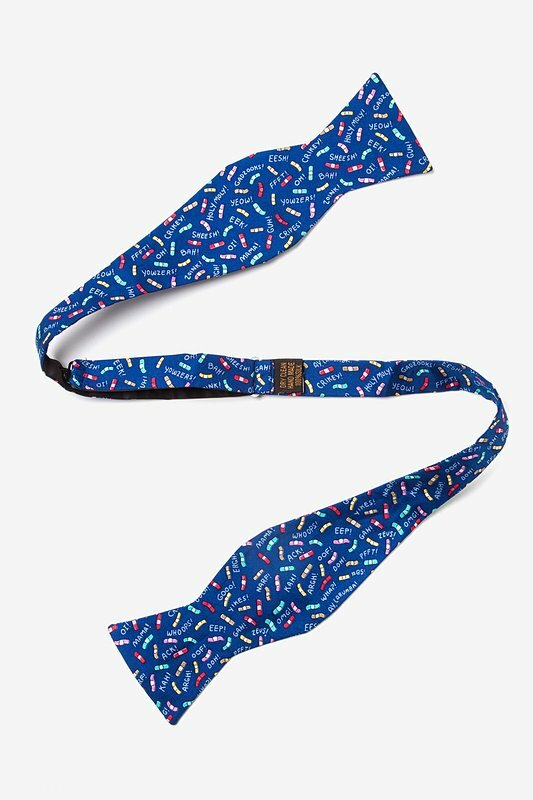 Bow Tie is perfect for you! 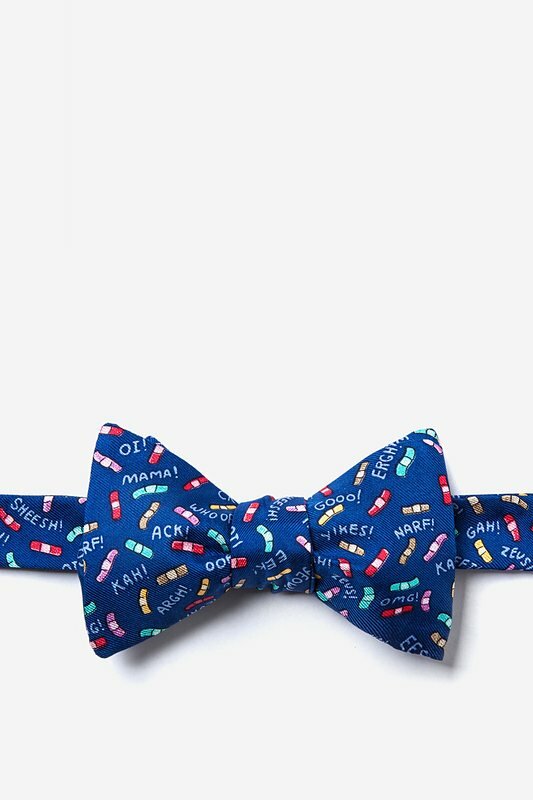 If you're always heading over to the pharmacy to stock up on first aid supplies, this 100% silk bow tie will remind you to pick up some bandages too. Just make sure you don't get any more injuries on the way there!